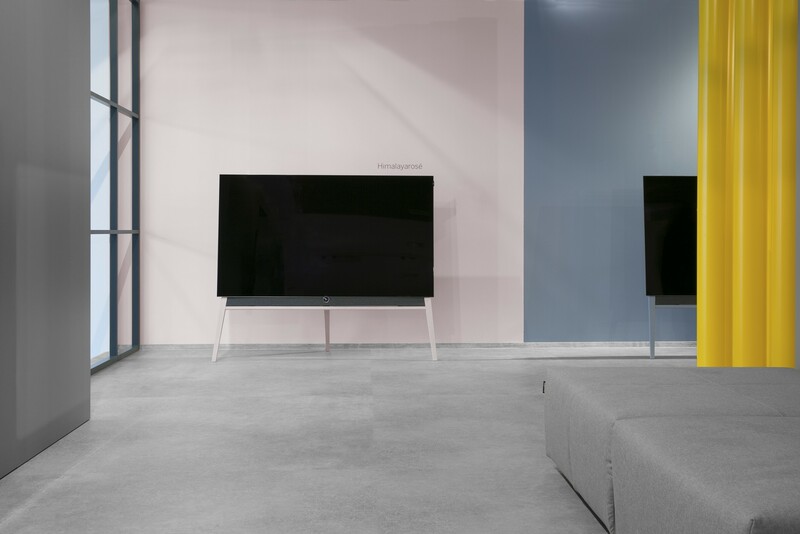 IFA 2018 saw the unveiling of the bild 5 Colour Code, our reimagining of the classic wooden frame in three distinctive colours. To emphasise this Bauhuas-inspired palette, Bodo provided art direction for the Loewe stand. The homely atmosphere was created by comfortable seating, soft furnishings, and splashes of the selected colours. IFA Berlin is one of the world's leading technology trade fairs: an annual platform for showcasing international innovation and a marketplace for new products and concepts. 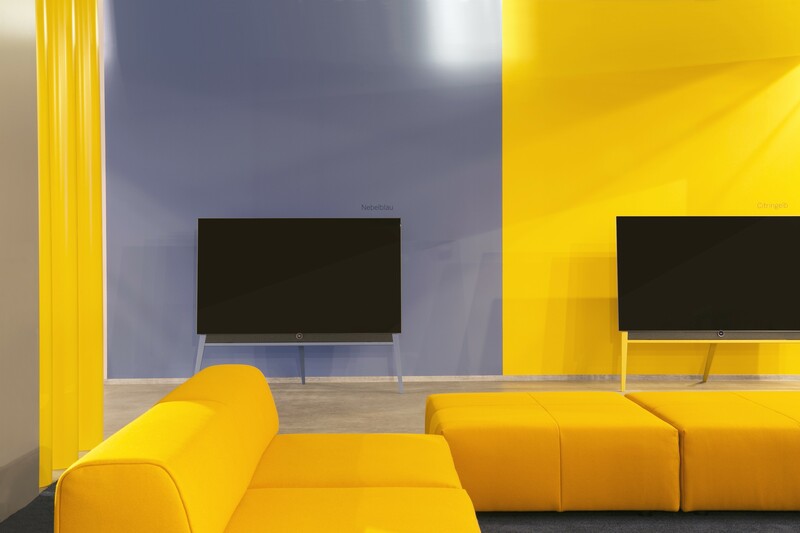 The stand was supported by Caparol Paint, which elegantly sets the scene for the bild 5 Colour Code and illustrates how the television can become a design object that compliments an interior. Special thanks also goes to Classicon and Freistil Rolf Benz for the ambient lighting and welcoming sofas.